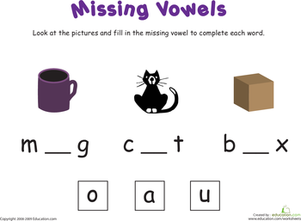 What vowel is inside the word "box"? 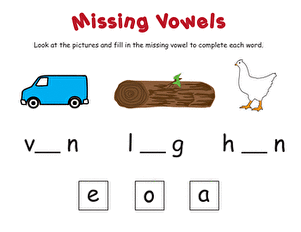 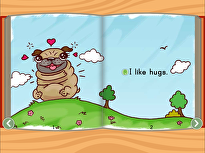 To complete this worksheet your child must first look at the different pictures and decide what the missing vowel is. 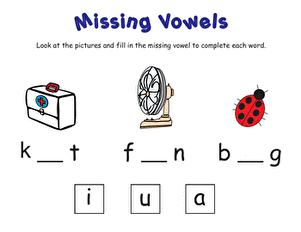 He will then write the missing vowel in the blank. 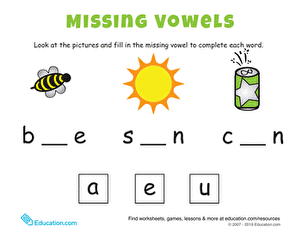 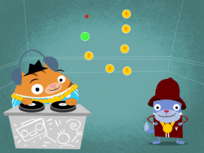 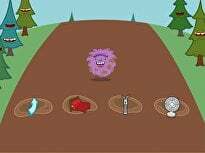 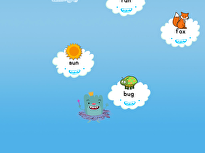 Have your child say each word to help him figure out what vowel sound is used. 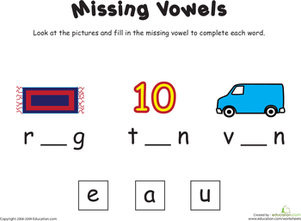 After completing this activity he will have practise with the vowels A, O and U. 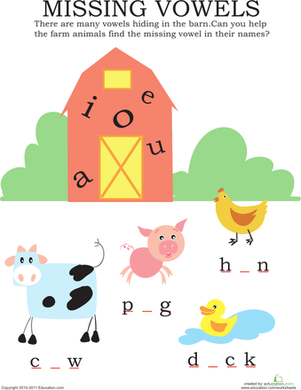 Give your child practise using the vowels E, A and U. 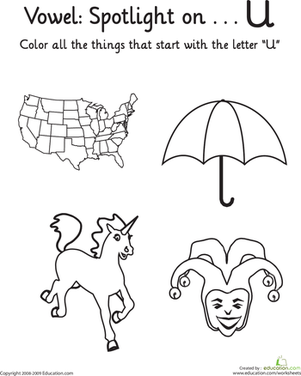 This printable worksheet will improve his reading and writing skills. 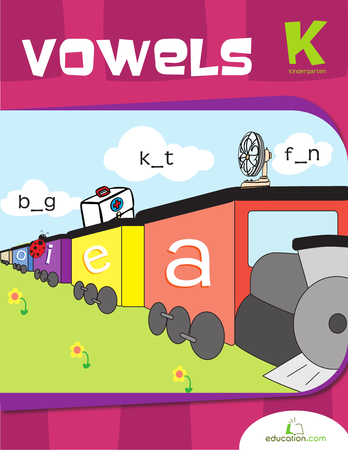 Give your child practise using the vowels E, A and O. 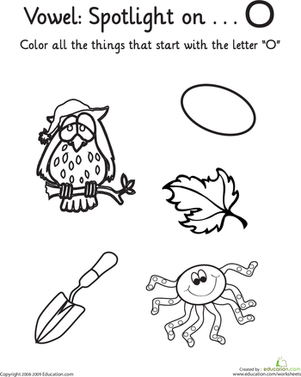 This printable worksheet will improve his reading and writing skills.